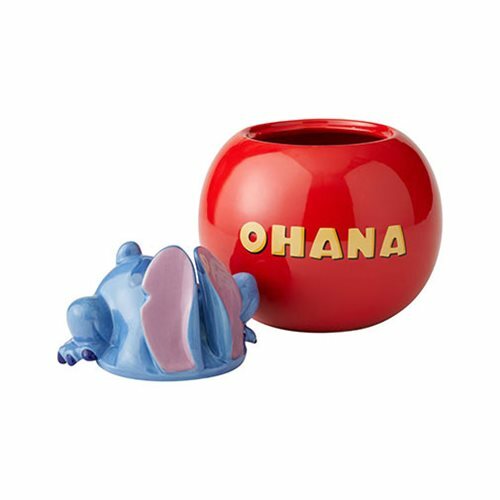 Stitch has found and is raiding the Disney Lilo and Stitch Ohana Stitch Cookie Jar. 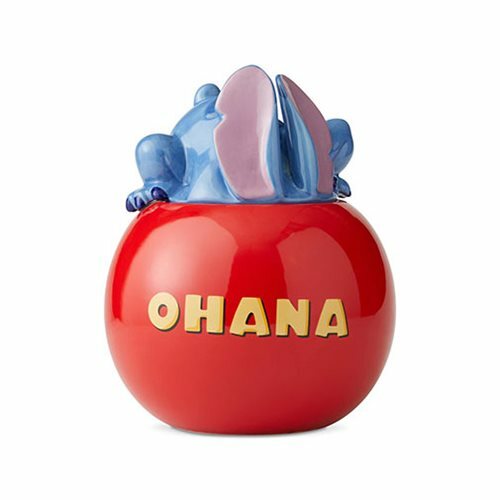 Made of stoneware this cookie jar is the perfect addition to any Disney lover's home. 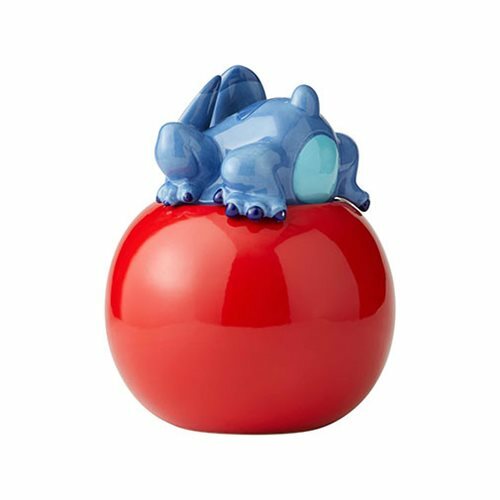 Measures about 10-inches tall x 8 3/8-inches wide x 8 3/8-inches long. Hand wash only. Not dishwasher safe. Do not microwave.